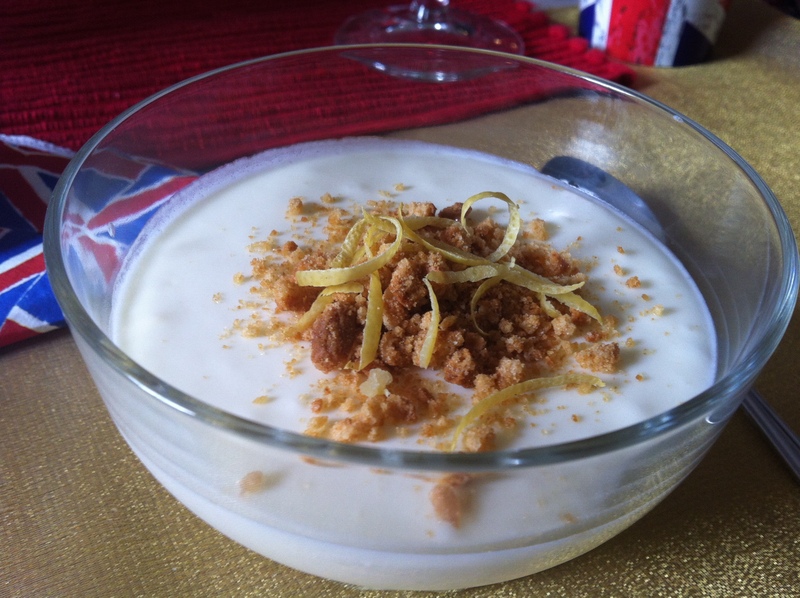 Say the word Syllabub, go on! Brilliant isn’t it. I decided to look up it’s meaning and what I didn’t realise is that it is a traditional English dessert. I always thought it originated in Europe somewhere, apparently not! It dates back from as far back as the 16th Century and was traditionally a drink made of new milk and cider, with the cows milked directly into an ale pot! I think I prefer this version below! This particular dessert is something introduced to me by my sister. It is a firm favourite in our family and even the non dessert-likers will eat this one! This is zesty, zingy, fresh, creamy, lush, rich and refreshing all at the same time. It is well worth the wait! A fantastic dessert for a dinner party, or refreshing indulgent treat! 4. In a separate bowl whip the cream with the sugar. Whisk only until it is starting to thicken and is like thick yoghurt. Slowly add the lemon mix bit by bit and whisk until fully combined. 5. Pour portions into bowls, martini glasses, shot glasses, anything that can be chilled.